The Woman, one of a kind, she became the iconic designer with truly unique and powerful statement and surely proved that attitude is fairly everything. Today when the DvF is one of the most successful fashion empires it’s so amazing to realize that her undeniable will to be someone she wanted to be most of all made it happen. When growing up, Diane did not really know what she wanted to do, but she knew the exact kind of woman she wanted to be: an independent, a woman who paid her bills, who did not wait for the man to call the next morning, a free independent woman. And she became her. As a young girl she worked for the Italian man Angelo Ferretti at his own factory. “He knew everything about prints and knits, he taught me everything, and yet everything I know I learned from him”- Diane says. When she was 18 years old she met her boyfriend Egon von Furstenberg at the university who later became her husband. All of a sudden her marriage actually caused the necessity to move to America and so one day she asked Angelo for few samples to sell them in America. That is how Diane found herself spending lots of time with a pattern maker, making the first few dresses. First she made T- shirt dresses, a little wrapped top and then there appeared the famous wrapped dress. It was easy to wear: kimono-shaped, traditional form clothing, no buttons, no zippers, and it could have been immediately identified because of the uniqueness and original mode that she created. 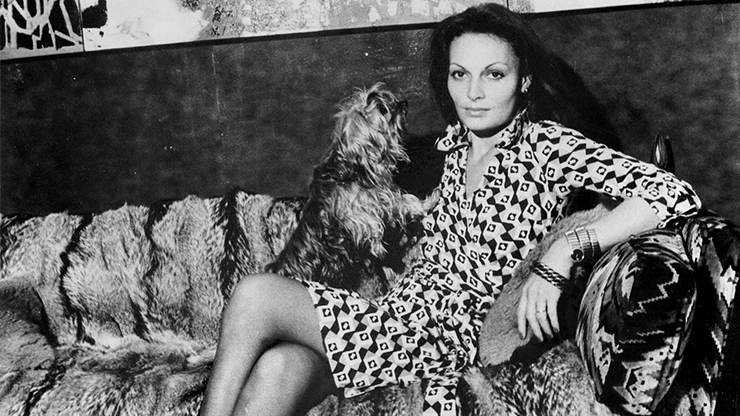 Diane von Furstenberg became the model for the face of her own product. “Feel like a woman, wear a dress” – was the statement at that commercial picture where she actually wore that famous dress with the print called “links-pattern”. It’s unbelievable that this recognizable print is popular even after more than forty years since it was actually created. 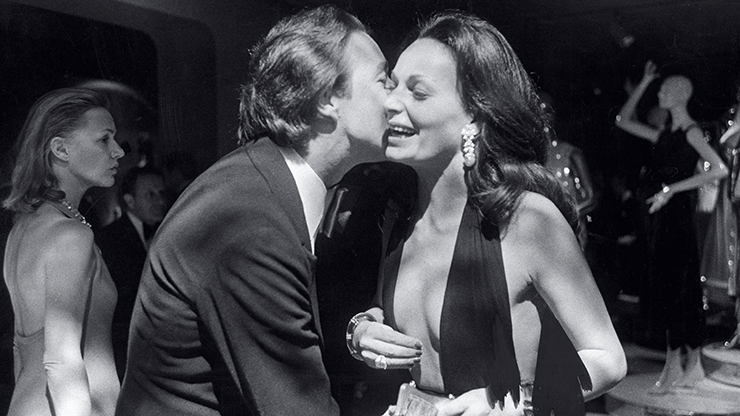 Diane became a feminist emblem of an empowered business woman who claimed: “This miracle little dress never ever stops to flatter women at the beginning of their lives, they allow you to be the woman you want to be.” The unexplained popularity of DvF dress may be defined by the jersey material that could emphasize the beauty of the woman’s body and make it more like feline shaped. This dress made women feel confident and stay themselves no matter what. She’s always been inspired by the woman and she designed to inspire women. Perhaps there would not be such an extraordinary success of her wrapped dress well known all over the world without Diane’s strength and persuasion of some of the basic principles of life. She lives an American dream, she loves the fact that everything is possible if you work hard, it is all about freedom to be who you want to be and in order to be that all, you have to be tough, demanding, and true to yourself. “Once you have a clarity – then you have a strategy, and once you have a strategy – then you have the success” – she said. She did reach her level of fulfillment in this life, in 2005 the Council of Fashion Designers of America (CFDA) honored Diane with its Lifetime Achievement Award for her great influence on the fashion industry and later she became the president of the Council of Fashion Designers of America. She also became a board member of the women’s leadership organization Vital Voices. 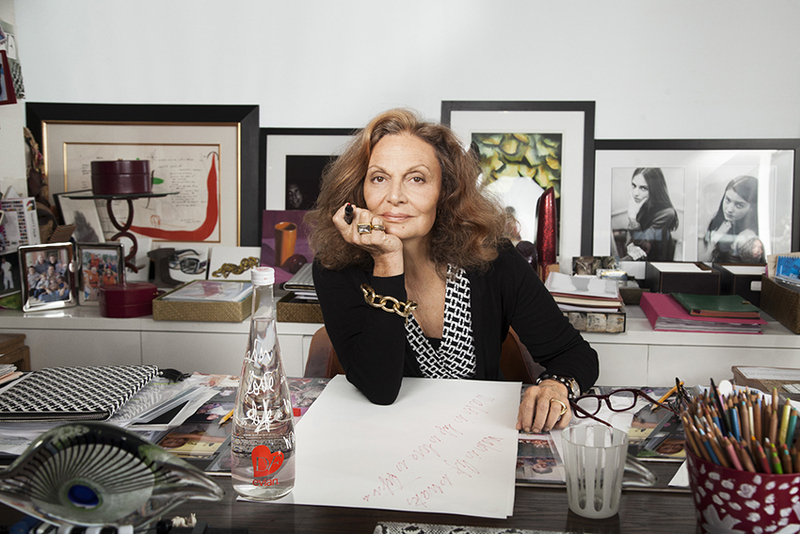 Only few years ago she established the DVF Awards with the Diller-von Furstenberg Family Foundation to honor and bestow grants to women who have displayed leadership and courage in their commitment to worthy causes. She’s truly an Icon.